Trendy Tuesday - MMMM Cockroach Milk. Wait! What? 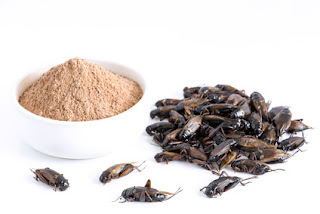 The newest health trend is people are trying cockroach milk. Yes, you read that right! Cockroach milk. Some experts say a rare milk crystal produced by cockroaches may contain four times as much protein as cow's milk and is packed with essential amino acids.